Overview: The GeoEnergy Research Centre (GERC) is a pioneering joint funded strategic partnership between the University of Nottingham (UoN) and the British Geological Survey (BGS) which offers world leading research from a diverse range of scientific expertise. A current GERC project is the development of a subterranean GeoEnergy Test Bed (GTB); a multi-borehole test site for studying fluid movement through porous reservoir rocks and lower permeability fracture zones. The GTB will provide insight into the development of a new range of monitoring technologies needed to work alongside a number of emerging GeoEnergy industries. The completed GTB will be fitted with surface instrumentation linked to subsurface sensors and probes automatically and continuously feeding updated information to an onsite control centre. The object of the GTB is to develop innovative monitoring technologies by carrying out scientific experiments designed to gather information and understanding of the in-situ mechanisms relating to subsurface fluid migration. The outcomes will be of great interest to emerging GeoEnergy industries. 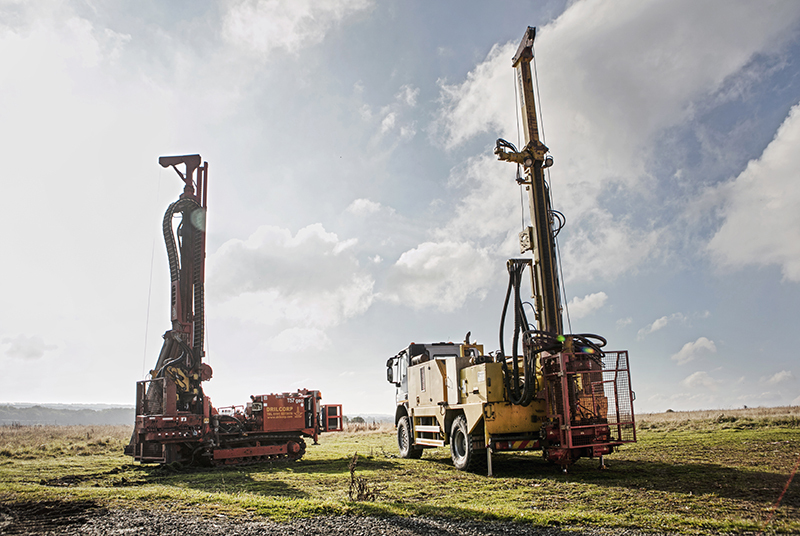 Following a lengthy prequalification and tendering procedure DDS was awarded the contract for the drilling and installation of the GeoEnergy Test Bed at the Nottingham Site. 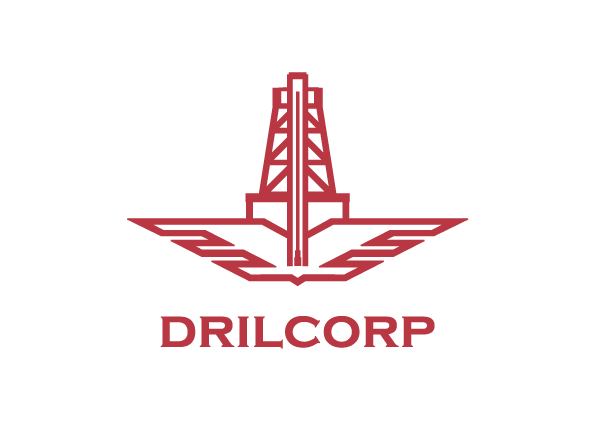 The works were carried out with Drilcorp’s Conrad Comax 800, Fraste FS300 and Beretta T151S drilling rigs with mud flush and a closed circulation system. Open holes were terminated at 81/2” (216mm) diameter and were drilled using PCD and Tricone bits. The cored borehole was drilled with a Geobor S wireline system which produced a 102mm core and a borehole diameter of 146mm. Stratas to be penetrated consisted of; The Mercia Mudstone Group, the Sherwood Sandstone Group, and terminating in the Bowland Shale Formation. The strata was loose and friable in some marl and sandstone formations and would be difficult to control. It was expected that the Sherwood Sandstone may be artesian. The delicate access road and drilling locations were covered with protective oak bog boards. Sound surveys were carried out to ensure that 24hr working operations would not have a detrimental impact on nearby residential dwellings. The GTB consisted of 10no boreholes. The first had previously been successfully drilled and completed by Royal Corps of Engineers. DDS drilled the remaining 9no boreholes consisting of 7no 300mtr deep (1no fully cored) and 2no shallow open holes which would monitor the Helsby Sandstone Formation. The boreholes were all fitted with multiple complicated and intricate probes and monitoring points as per the specification. These devices included ERT,P,T geophones and optic fibre. All locations were terminated at the surface in below ground concrete chambers.